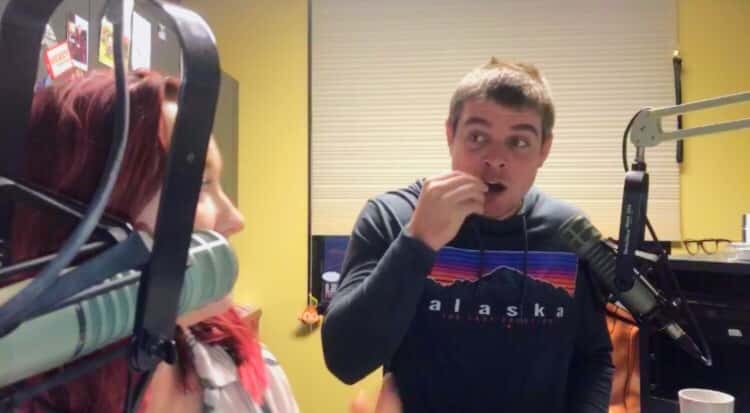 Today, Conrad & Kacie are down one brave soul, so Kacie got help from Matt Markham on QCountry107. Together, they tried the idea from Cassie Cope of pickles dipped in caramel sauce! Find out how it went by watching the video below! Send in a submission by clicking HERE. Time for Edible Bravery! Caramel dipped pickles thanks to Cassie Cope in Port Huron!